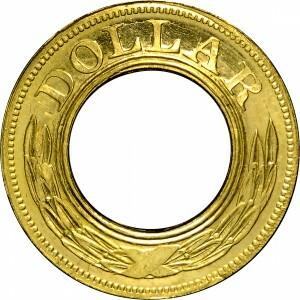 Possibly six to eight examples of this pattern design exist in gold composition. 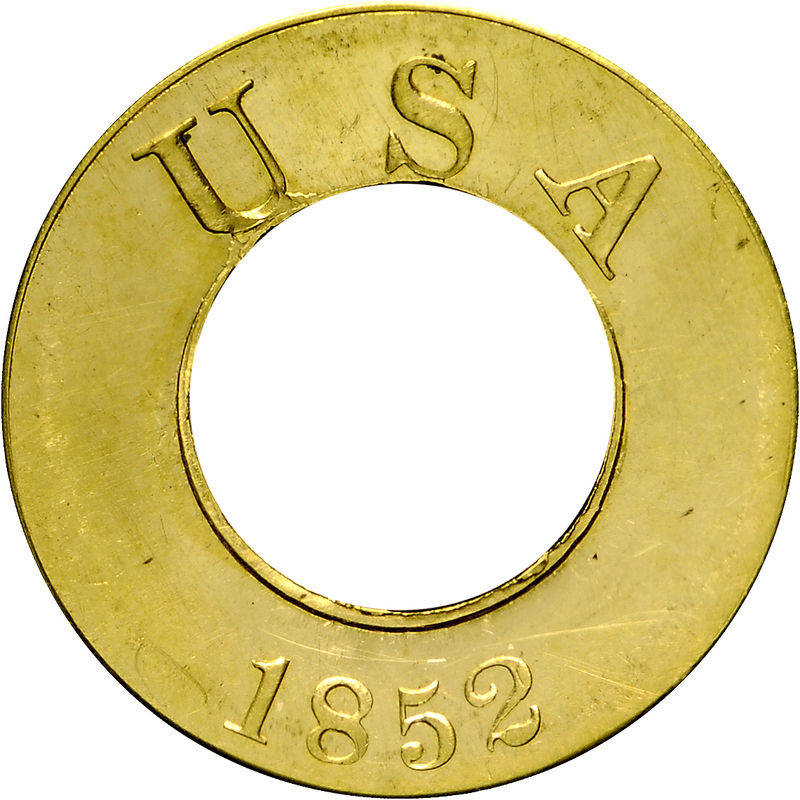 In broad general terms, gold pattern coins actually struck in gold composition are major rarities. 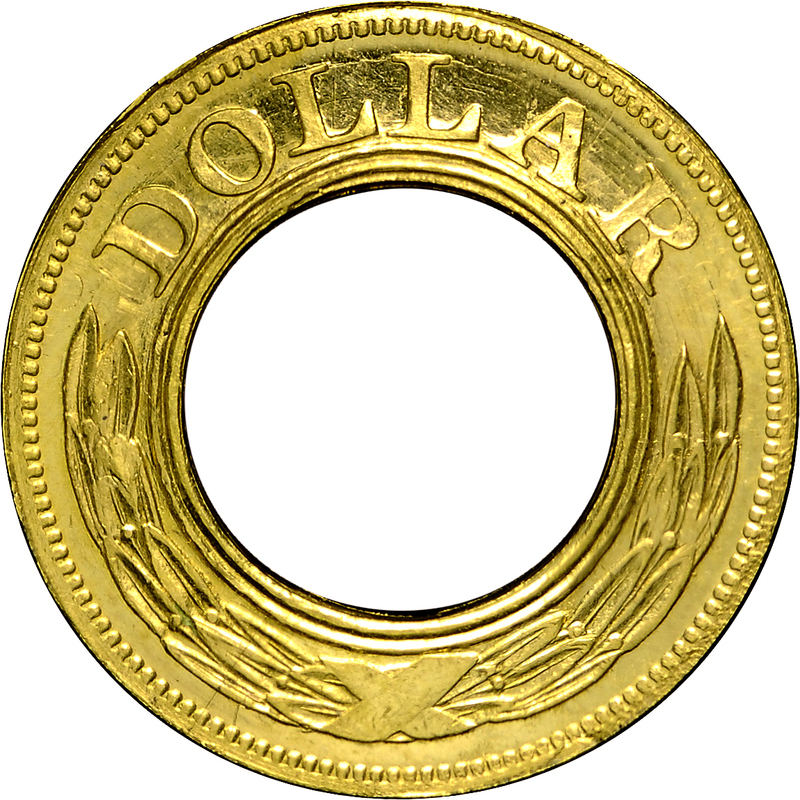 This pattern was produced to illustrate the annular format and demonstrate the final weight of examples in the chosen coinage metal. The February 1853 issue of Banker’s Magazine recommended that these annular gold dollars not be issued. This example is a beautiful gold dollar pattern pedigreed to the famous Garrett Collection and earlier to the Aulick Collection, sold by George Cogan in April 1883. Aulick Collection, George Cogan, April 1883; Bowers and Ruddy's sale of the Garrett Collection, Part II, March 26-27, 1980, Lot 1077. USA above, date below central hole.